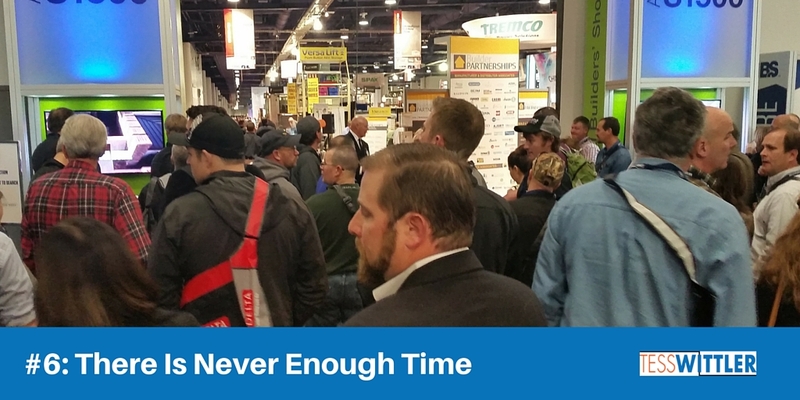 Last week, I had the pleasure of traveling to Las Vegas to attend the International Builders’ Show for the second year in a row. Every year, the Builders’ Show continues to amaze me – with so many opportunities to see products, network and learn. 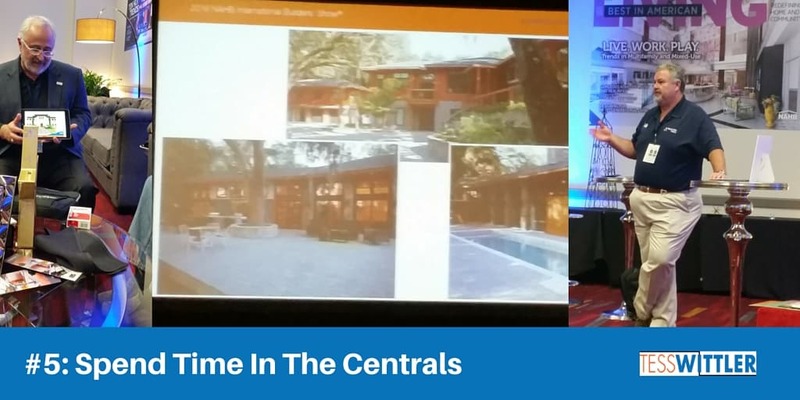 Note: You can read last year’s recap, “My 5 Big Take-Aways from the Builders’ Show 2015” here. Here are my Builders’ Show take-aways for 2016. There are so many activities that compete with each other at the Show that it is absolutely impossible to attend everything on your list, but I firmly believe the educational opportunities at the Show are superb and well worth the full registration price. 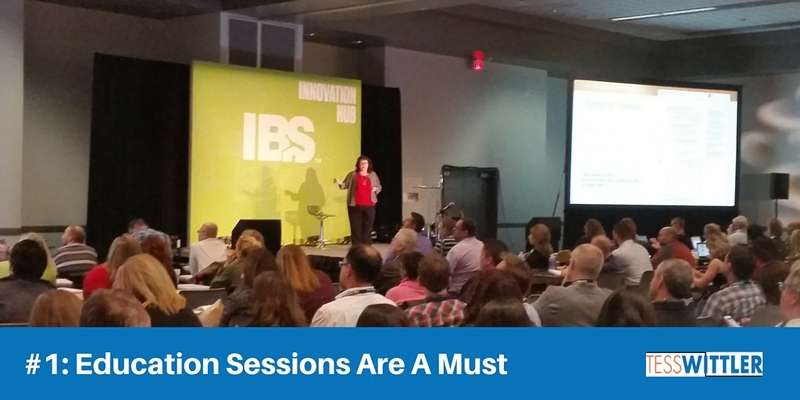 In a few weeks, the audio and slides from nearly every session will be available free, as part of my full registration, via IBS Education On Demand. I often listen to podcasts on my way to kettlebell class or on my morning walk, so having the audio files is a wonderful benefit. Furthermore, I can see great applications for company representatives who attended the show to share these sessions with their entire team throughout the year. 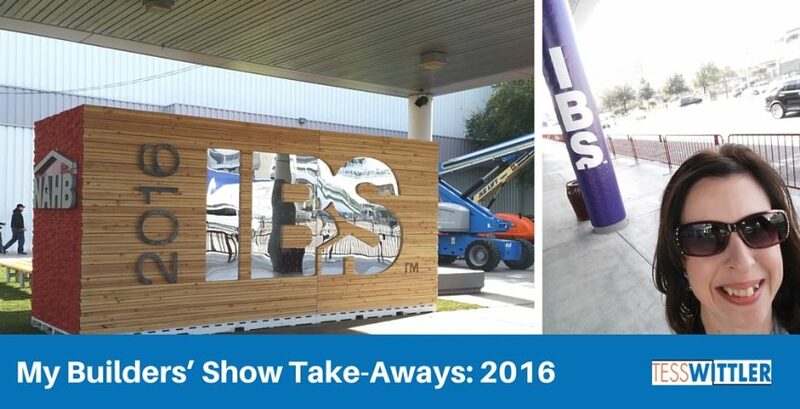 Take Away: The education available at IBS is top-notch, so even if you are there just to see the new products, my recommendation is to identify 1-2 sessions each day to attend. It will be time well spent away from the Show floor. The best value you’ll get from your membership (to any organization) is by refusing to be a wallflower and actually rolling up your sleeves and getting involved. 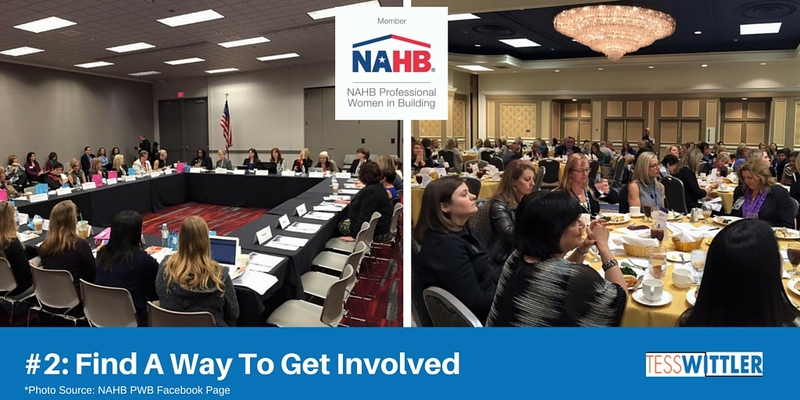 In Fall 2014, I joined NAHB’s Professional Women in Building (PWB) Council, and I am not going to lie: those first few months were tough, particularly because I didn’t have a PWB local chapter. It isn’t an easy way to get to know others, but I knew I had to be dedicated if I was ever going to shake the “fish out of water” feeling. And I didn’t want to be a member in name only. As a former Home Builders Association staffer, I knew the value of being involved, and I wanted to find a way to give back to the industry. Thankfully, I found a spot on the Communications/Education Committee and participated in the monthly calls (even when I had mounds of work on my desk). The 2015 Builders’ Show was my first time meeting any of these ladies in person, and I have to admit, while it was a bit intimidating, it was also a fantastic experience. Sitting in a meeting room has a completely different dynamic than alone in my office on a conference call. After the 2015 Show, I connected with a few other PWB members via Facebook (which is an excellent way to connect faces to names). Over time, I got to know them on a more personal level (and they got to know me, too). Last fall, I was asked to serve as the PWB Education Committee Chair in 2016. Whoa! Say what? Serving in a leadership capacity was never my goal when joining the PWB, but I gladly accepted the appointment and will work hard to do a good job. Take Away: If you aren’t involved, I highly recommend that you identify one committee, council or cause – and participate. Yes, it is volunteer work and extra energy out of your already full day, but the experiences you receive are priceless. One of my goals for this year’s Builders’ Show was to try some new things, especially when it comes to education. I am sure it is no surprise to hear that I’d be perfectly content to attend every marketing session offered, but I know that there is more to my clients’ businesses than that. This year, we’ve focused not only on offering you great content, but also on giving you an exceptional experience. From new session formats and interactive room sets to programs that put you in charge of your learning, get ready for a whole new type of education at IBS. The result: Some incredible sessions. Seriously! I attended the Crowdsourced Education sessions. 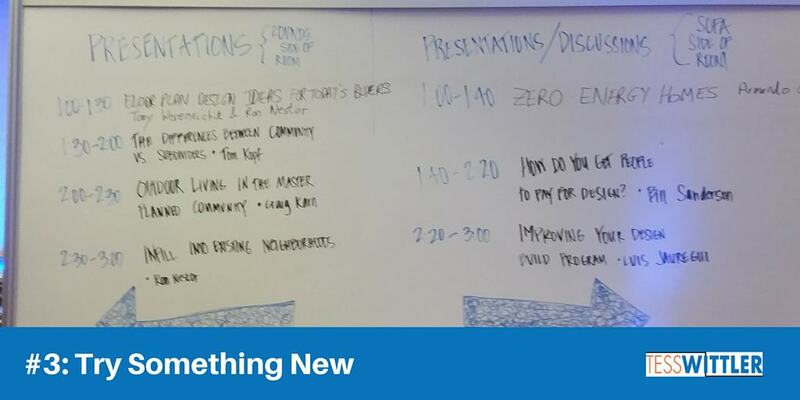 These sessions were topics generated earlier in the day by attendees, and what took place was an intimate discussion to help builders/remodelers solve their business problems. It was quite incredible to witness. I also sat in on the GroupThink: Labor Shortage Solutions session. The room was packed, and participating builders shared how they’ve addressed this issue – from working with their trade partners to their high school educators. In the Extreme Makeover Live: Internet Marketing Edition, the speakers worked with three builders to dissect their online marketing efforts – live! The speakers pointed out what these builders are doing well, and what they could tweak to get better results. I also attended The Latest Digital Tools You Must Know to Beat the Competition: iBeacons & Beyond. Here, I discovered that there is some interesting technology available to sell homes and create a more personalized experience for new home buyers (particularly for neighborhood builders). Take Away: Attending sessions that I normally wouldn’t attend introduced me to new concepts and to new people. (Roundtable discussions are great for meeting people!) It also gave me a better understanding of the challenges my clients face, and moving forward I may even be able to offer solutions. One of the bonuses of this trip to Las Vegas was that my good friend Kelly flew out from Pennsylvania to join me for a few days. Not seeing each other in over a year, you can imagine how happy we were to spend a few days together. She and her husband have visited Vegas a few times, so she showed me some of the ins-and-outs of vacationing there. 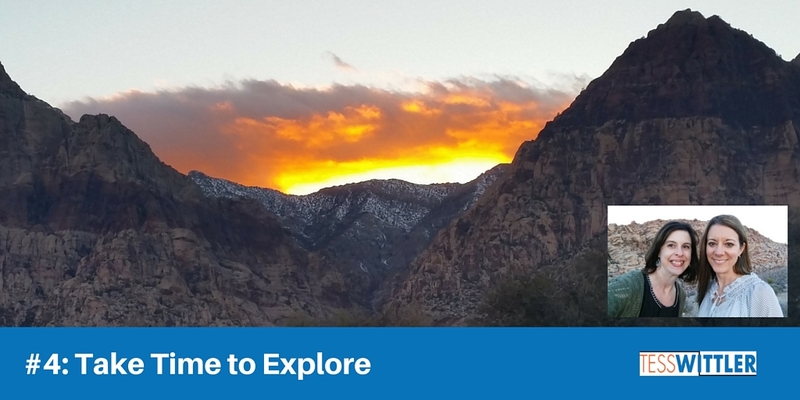 We got off the Strip and found a nice neighborhood park in which to take a long walk (something we used to do together when I lived in Harrisburg), and we made a point to take the scenic drive around Red Rock Canyon. Take Away: Even though it is a business trip, it is important to take time to explore beyond the Show floor and have a bit of fun – whatever that looks like to you. I mentioned this briefly last year, but in my opinion, the Centrals are the hidden gem of the Show. There is nothing better than walking into the Remodelers Central and seeing a few clients and saying hello in person. I also caught an education session in the Custom Building Central on “How to Build a Smart Online Marketing System” that was excellent. And yes, even though I offer marketing services for my clients, there is always a tidbit or two to take away. Take Away: When you get your Show guide, make sure you look at what’s being offered inside the Centrals. Each day presents opportunities to network, learn or just grab something to eat. During the three-day Show, my schedule was packed. I often had at least two items I wanted to do at the same time, and I didn’t get to see The New American Home. My biggest regret is that I didn’t walk the Show floor nearly enough, and catching up with a few people I’d hoped to see just didn’t happen (right, Larry?). When attending a Show of this magnitude, you have to be realistic – there simply will not be enough time to do everything. My plan involved trying something new, attending the PWB Council meetings, prioritizing education sessions and seeing as many people as I could. Take Away: Don’t fixate on what you didn’t get to see/do. Make those your priorities for 2017. At least, that’s my plan. If you attended the Show, I’d love to hear your thoughts in the comments below. My best content ideas to help residential construction professionals create amazing blog content. Success! Now check your email for the ebook with my best blog content ideas for residential contractors. It was an excellent Show. Definitely meet up next year!